When I was about nine, my sole desire was to own a Twirly Curls Barbie. This was a normal Barbie (in the American sense of the word, i.e. not at all) but with the added genius of a key in her back that meant you could make her lustrous nylon locks grow or shrink at will. Now I am, well, all grown up, my sole desire is to own a key in my back that can make my less-than-lustrous, but quite nylon-like locks grow in seconds. Ninety-nine per cent of the time I do not pay much attention to my hair. Because, ninety-nine per cent of the time my hair is either a quarter of an inch long, or about to be rendered a quarter of an inch long by my tattooed legend of a hairdresser Eliot Ness (catchphrase, in broad Trowbridge accent: ‘I am going to make you look totally mental’). But I have thrust myself, or rather been edged unwillingly, into the purgatory that is ‘I am trying to grow my hair’. This happens, on average, once every three or four years, and is rarely of my own volition. Because, believe me, it is more than trying. On a scale of one to childbirth, it skirts around the ‘write a 60,000 word novel in a month, every month, for about two years’, whilst being barred from Facebook, cups of tea, and Caramac bars. It would be fine if I had a normal hair (i.e. straight, and goes in the right direction i.e. down), and a normal hairline (i.e. humanoid). But I have hair the texture and density of moss, which encroaches on my face in a Cro-Magnon style, and grows outwards in a Sideshow-Bob style. As my brother points out, I look like a strategically shaven monkey. And worse, as soon as it gets more than half an inch long, I begin to resemble David Miliband i.e. slightly crazed, with a sphagnum helmet. And as soon as it gets more than half an inch long, its upkeep takes over several hours of my schedule. There is washing, drying (with various diffuser attachments), styling, rewashing as style has gone horribly wrong, and of course, the endless visits to chemists in the Quest for the Perfect Hair Product. I lost years of my life to this pursuit as a teenager. I have experienced joy: The day they invented mousse I knew how Fleming felt when he discovered Penicillin. I have experienced loss: when L’Oreal decided to discontinue Perfect Curls. This stuff had the exact same colour and consistency as sperm, but I was undeterred, and, lo, I was rewarded. This was truly the ambrosia of the Gods, because for once, it actually did what it said on the tin. 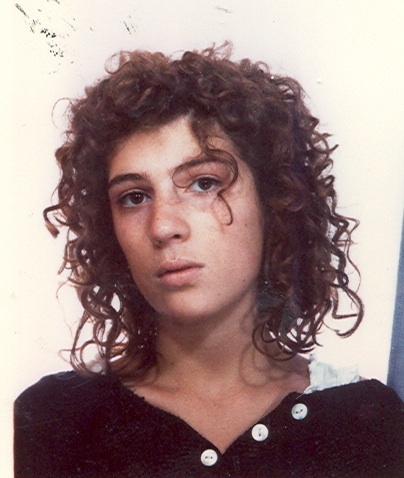 I no longer looked like Robert Plant, but a sort of midget Julia Roberts, albeit with a bigger nose. But less than a year later my holy grail was cruelly snatched from me by the wicked stepmother that is market forces – clearly those of us with lichen-hair are few and far between – and the quest began again. As it did yesterday with several hours in Boots and a bagful of products that all promise to give me the glossy ringlets of my pre-Raphaelite daydreams.